This Valentine's Day Style outfit is a twist from the traditional red and pink. Try switching it up by combining turquoise and red together. It's one of my many favorite color combos. Also, the Ladies of Thread Cincinnati want to thank all of our lovely readers for their support by treating one of you this Valentine's Day! Be sure to enter the giveaway at the bottom of the post. It's been one whole year since we started Thread Cincinnati and we are so grateful for all the support we've been given since we started this new adventure! 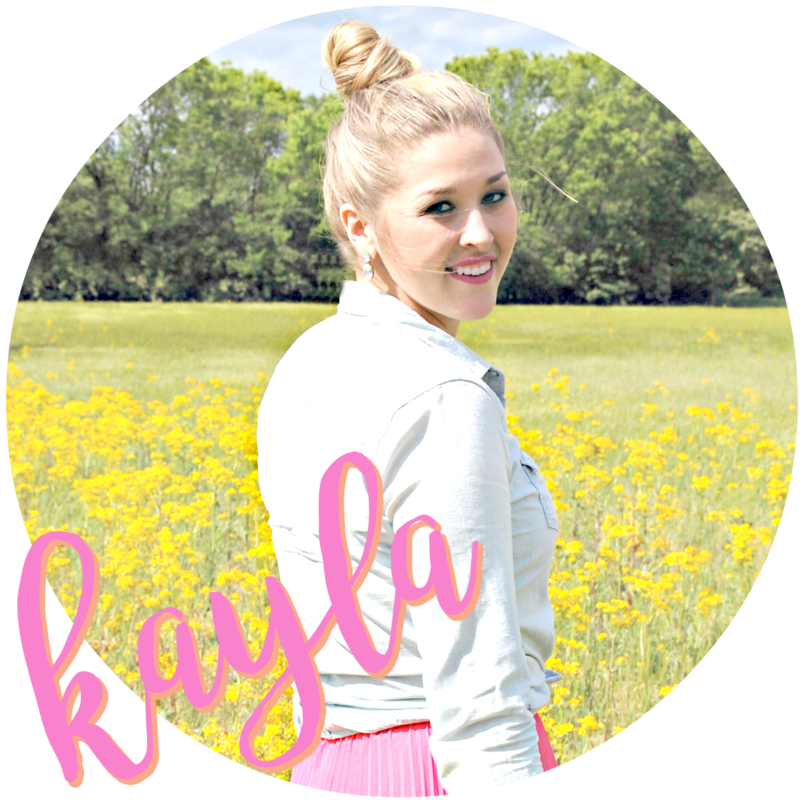 In honor of Valentine's Day coming up, we want to spoil one of our readers with a gift any girl would love! 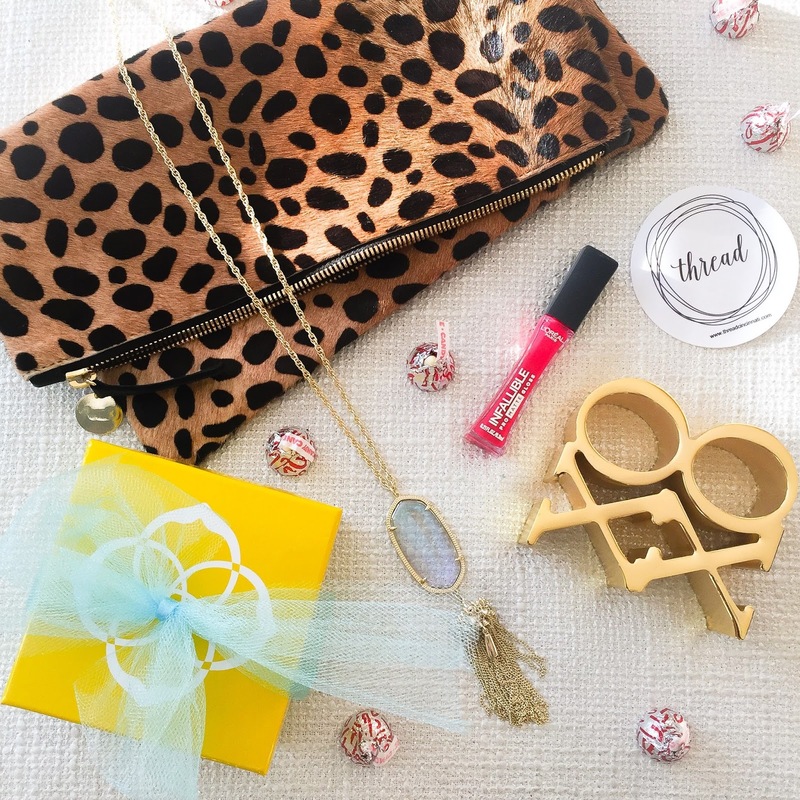 By using the rafflecopter below, you'll be entered to win the coveted + blogger-favorite Clare Vivier leopard clutch, a gorgeous Kendra Scott Rayne Necklace, and a L'Oreal Paris Infallible Pro-Matte Lip Color! We love all of our readers and really want to use this opportunity to say thank you for following along and we are so excited to have another amazing year of collaborating! Good luck!